Migration of the Pen-Y-Bryn website to us. 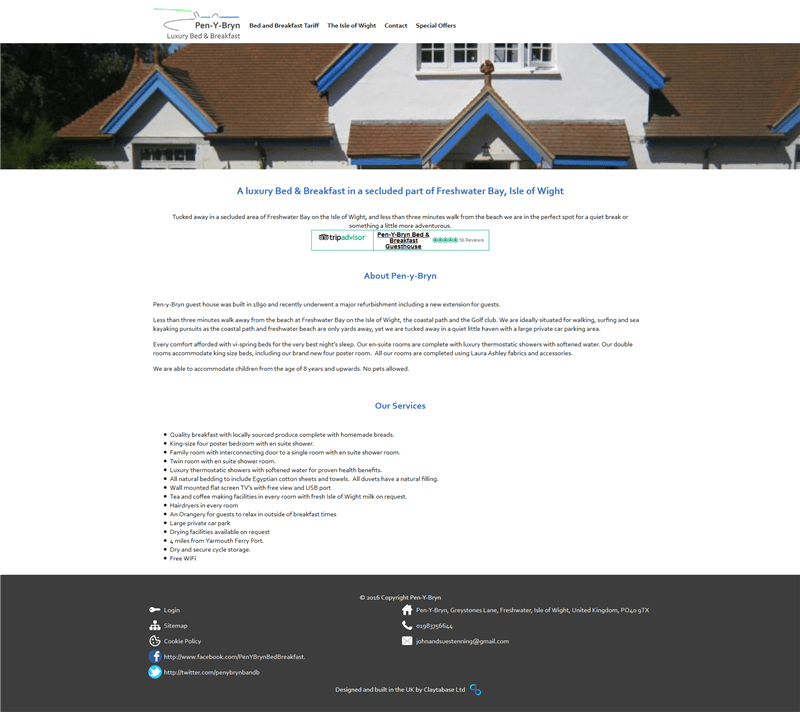 A website designed for a Bed and Breakfast based in Freshwater on the Isle of Wight. Pen-y-Bryn guest house was built in 1890 and recently underwent a major refurbishment to include a new extension for guests. Pen-Y-Bryn initially approached us to check if their site was performing as it should have been. They were languishing in pages 8 and above on many of the relevant searches. On initial investigation it was found that there were a number of issues with the site, like images not being cached, render blocking scripts and a lack of SEO options available to them. They are currently on the first page for a number of searches, and we will continue to work with them to keep them there.